Twenty years ago, The Daily Show premiered and the eventual cultural impact the show would have on news satire and political discourse was yet to be known. Since the show debuted on Comedy Central in 1996, its had three hosts — Craig Kilbourn, Jon Stewart, and Trevor Noah — and a whole roster of correspondents. There are so many stars who started on The Daily Show, from Full Frontal host Samantha Bee to actors Olivia Munn and Josh Gad. The show's correspondent team has been like a farm team for comedians in TV, getting them ready for the big leagues — and boy have they gone on to big things. If you need a refresher, The Daily Show correspondents pop in to do live and recorded segments, interviews, and more during the satirical news show, which operates a lot like a real news program, but funnier. For some correspondents, the gig got them ready for the hosting duties of their own shows. For others, it seemed to kick start their Hollywood acting careers. Either way, being a Daily Show correspondent seems to be a breeding ground for various kinds of success. Check out some of the stars who got their start on The Daily Show as correspondents. Colbert's Daily Show days began in 1997 during Craig Kilbourn's tenure as host. He was kept on the correspondents roster when Stewart took over and stayed until 2005, when Colbert starting hosting his own spin-off show, The Colbert Report. These days, he's the host of CBS' The Late Show. The Oscar-nominated actor was a correspondent from 1999 until 2005, when he left to star as Michael Scott in a little ol' NBC sitcom called The Office and achieve box-office success in The 40-Year-Old Virgin. The Full Frontal host and author got her start as correspondent on The Daily Show, joining in 2003 and leaving in 2015. Her 12 year tenure is the longest of any correspondent on the show. 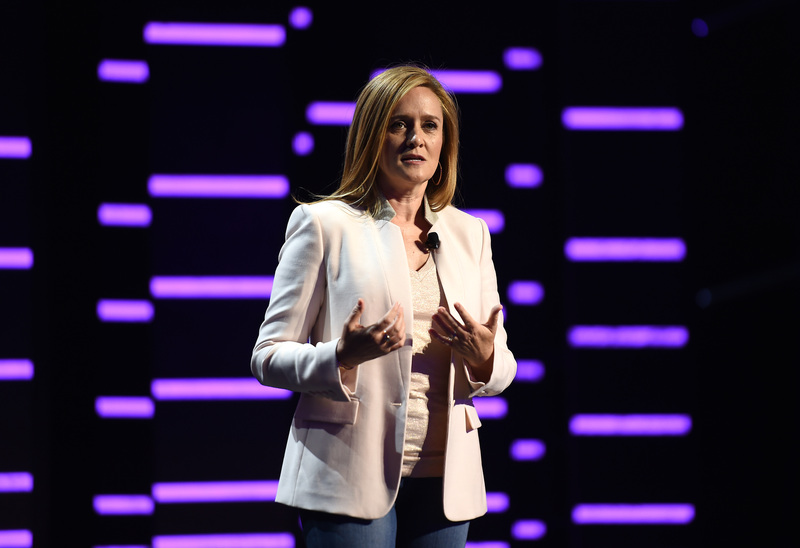 As host of Full Frontal, she is currently the only female host of a late-night talk show. The Last Week Tonight host served as a correspondent and "Senior British Person" from 2006 until 2013. His HBO TV show premiered in 2014. The current host of The Daily Show joined the cast as a correspondent in 2014 during Stewart's tenure as host. From 2006 to 2014, Wilmore was on The Daily Show as "Senior Black Correspondent." He is now the host of The Nightly Show With Larry Wilmore. The Hangover and Vacation actor was a correspondent from 2002 until 2006. He too went onto star in The Office, along with fellow former correspondent Carell. From 2012 until 2016, Williams was the senior black correspondent, as well as the senior Beyonce correspondent on the show. According to Variety, Comedy Central is developing a show with Williams. Corddry was a correspondent on the show from 2002 until 2006, along with his brother Nate, who would join the show in 2005. Since then, Rob Corddry has been busy — he went onto star in the hit comedy Hot Tub Time Machine, create the Adult Swim series Children's Hospital (which has won two Emmys), and appears in the HBO series Ballers. The CBS This Morning correspondent got his start on TV as Daily Show corespondent from 1998 until 2003. The current Saturday Night Live cast member only spent three months as a correspondent on The Daily Show in 2014. On SNL, he co-anchors "Weekend Update." Today, audiences know Gad as the voice of the adorable summer-loving snowman Olaf from the Disney movie Frozen. But before that, he was a correspondent with The Daily Show from 2009 until 2011. Before she was in The Newsroom, Munn was part of Stewart's fake news newsroom as a correspondent from 2010 until 2011. So it's pretty clear that fake news reporters from The Daily Show have gone onto accomplish some real life successes — and that's no joke.